Every aspiring business analyst in software development field must be aware of the software requirements analysis methods, tools and techniques to ensure timely and easy implementation of software projects. Below is given the list of eight best software requirement analysis books which should be read by every business analyst. Did you know that a large percentage of the software projects fail due to improper requirements gathering? A well-planned software project needs to have enough time allocated for the requirements analysis. Every project is different and may require different types of tools for gathering and analyzing the user needs. 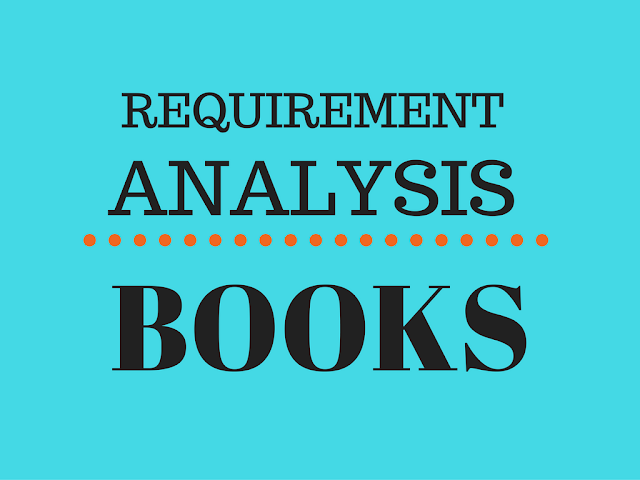 This article tries to list down some of the best books available for software requirements management and defining the specifications. The book provides a classical view of software requirements and delivers more than 40 best practices which are highly valuable for business analysts, project managers, and IT account managers. The book provides the big picture of requirement engineering. It is broken into requirement engineering best practices, requirement discovery, validations and verification processes. Wiegers provides best practices which are classified as per priority and difficulty and helps the readers to get adequate ideas to use cases, text requirements, and dialog map etc. The book provides information about the behavioral requirements of software systems and processes which are necessary. It informs about the ways to use cases and considers basic, intermediate concepts and advanced concepts to discuss the key elements including the stakeholders, actors, scenarios, design scopes, and also suggest actions and formats. Part 1 provides guidance to write, manage and use cases and Part 2 informs about the addresses discussed in the topics and Part 3 contains reminders and rules which can guide you. The main drawback is its approach is centered on an actor. The book provides valuable information about requirements engineering process, elicitation, analysis, validation, specification, and management, and gives practical techniques to improve the performance of software team and its output. The book is logically organized covering a number of application tools. The main issue with the book is its small prints. The book is designed in a way to help software development management teams, QA / QC personnel and stakeholders at all levels as it provides guidelines to streamline communication, to write clear and concise about the requirement documents. The book gives practical agile approaches for a software team which helps to collaborate and work with the enterprise. The approach is easy to understand, pragmatic and helps to give hands-on guide to address many key issues (not all) which are faced by enterprises. It provides effective requirement analysis and explains the critically best practices. It covers programs, portfolios and also architectural management which is backed by a consistent framework .It is well written easy to understand and can be adopted in daily activities. The Jackson’s book gives some critical information and guidelines such as the idea of promoting software system in multiple problem domains and application domains where the system users can conduct businesses. It is a great book which can be used by project managers and business analysts for implementation to ensure easy integration of customers need into the developmental processes. The book extensively informs about the use of mathematical notations, although, it does not provide extensive case studies and also the content is not very structured. It provides practical information related to software requirements and the basic level of knowledge needed for resolving software issues. It is very easy to read and gives insight into the real life problems faced by software projects. "10 cosmic truths about software requirements" is a valuable section of the book and the content is fully backed by reference and theory. People who are new to business analysis will find the book highly helpful as it explains many complicated business analysis concepts, fundamental concepts, strategies, valuable insights and gives many references tools and tips. It explains the role of system analyst, business analyst and gives the ways, in which, the analyst can deliver work. It provides combined resources backed by practice and theory and gives reference material which can be used on any assignment. The book provides formalized way to BA .The book is written by an engineer and its reference material can be used on any assignment. The models and techniques explained are highly comprehensive and give great insight into every step of Business Analysis. The above-given books ensure to provide the knowledge which will be helpful to both experienced and inexperienced project team members and business analysts. Article Updated on November 2016 for latest books and minor fixes in content. Navigation moved up and back over to the right.. most everything else except ad placement is pretty much in the same location. A well planned software project needs to have enough time allocated for the requirements analysis.